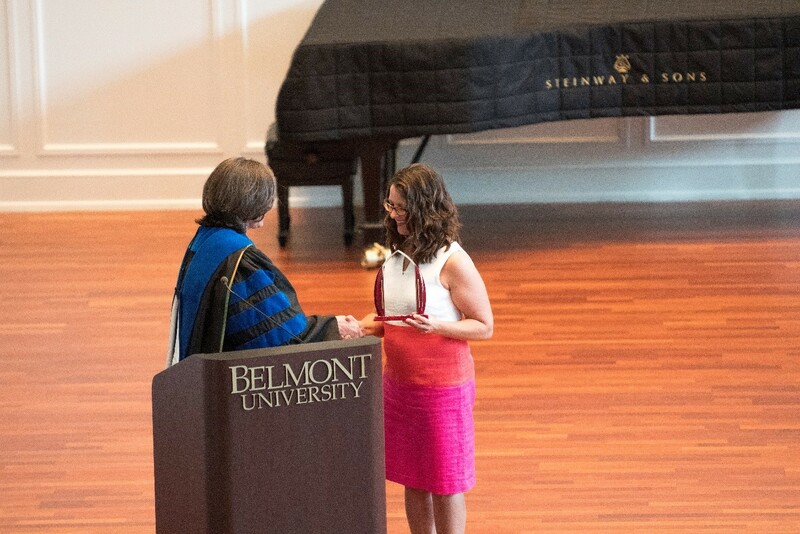 Belmont’s School of Physical Therapy honored Dr. Melissa Shearer Kidder as this year’s Outstanding Alumnus during its 2018 Hooding Ceremony. Kidder graduated from Belmont School of PT in 2000 and is a board-certified orthopedic specialist currently serving as the orthopedic PT residency director at The Ohio State University’s Sport Medicine Physical Therapy program. Additionally, she is a lecturer in the Ohio State Division of Physical Therapy. Kidder has done a number of national presentations related to teaching, learning and mentoring in clinical/residency education. She serves as an accreditation content expert and lead reviewer for the American Board of Physical Therapy Residency and Fellowship Education. In addition, she has been involved in several multi-site research projects.